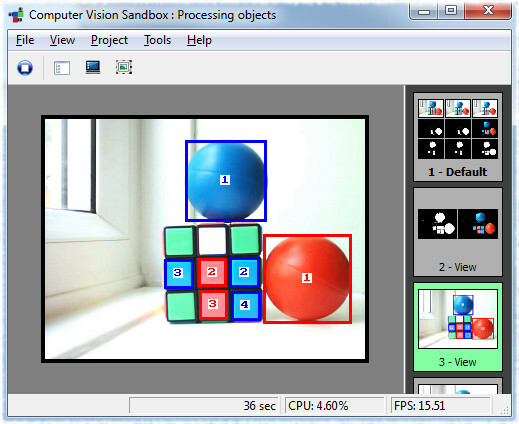 Computer Vision Sandbox is an open source software package, which aims to allow solving different tasks related to computer vision areas, like, for example, video surveillance, vision based automation/robotics, different sorts of image/video processing, etc. So what are the plug-ins? Since it is all around computer vision, the video source plug-ins play the central role in the system. There are plug-ins to access different types of cameras, like USB web cameras, video capture boards, IP video surveillance cameras, etc. Once video is received, there is great variety of plug-ins to perform different image and video processing. Combined together those allow achieving many interesting results. On top of that, there is scripting support, which allows to do even more by programming custom scripts utilizing the variety of plug-ins. Future releases will extend scripting API even more, bring more image/video processing plug-ins and introduce device plug-ins to talk to some robotics boards/controllers and other hardware - this is when the real fun will come. So, to repeat, it is all about building blocks and connecting them to solve the task. And if the system does not talk to certain camera model, does not perform some required image or video processing, etc. - add a plug-in and it will do so. Well, this is the goal. And the goal also includes providing SDK one day, so users could create their own plug-ins as well. 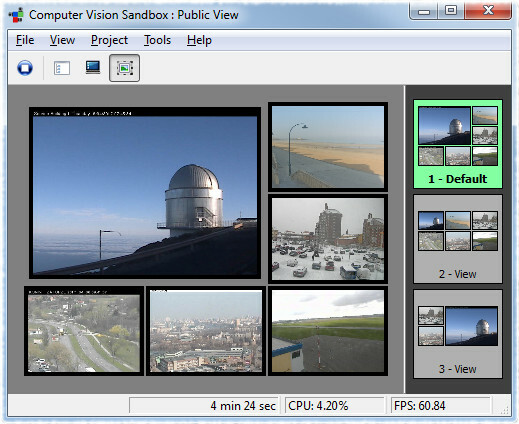 Below is a quick screen shot of the Computer Vision Sandbox showing six different IP cameras. Or here is another one from a different area - locating and counting objects of different colors. 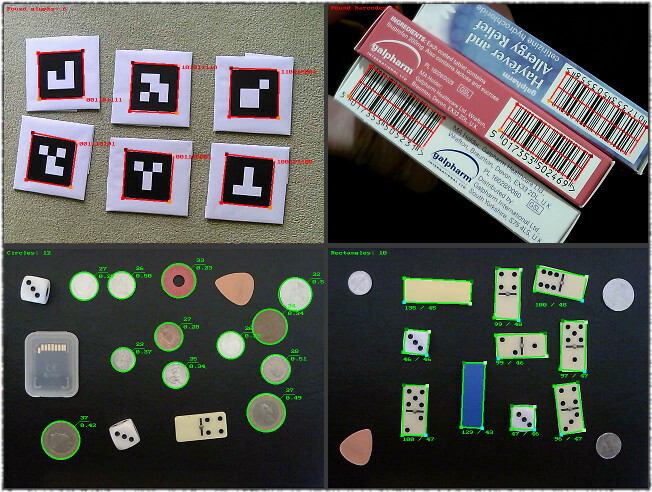 And here are some examples from other computer vision areas.